International governance of Neuroscience and Neurotechnology: Whom to trust with the assessment of future pathways? Nina María Frahm is a research fellow and PhD candidate at the Munich Center for Technology in Society, Technical University Munich. Previously, she obtained a BA in European Studies and an MSc in Science and Technology Studies at Maastricht University, and was a research fellow at the Technical University of Berlin, where she investigated heterogeneous cultures of cooperation in collaborative forms of research and development of emerging technologies. Her interest in the crossroads of science, technology, and public policy was fueled during a junior research position at University of Quilmes, Buenos Aires, where she conducted a project on technologies for social inclusion. 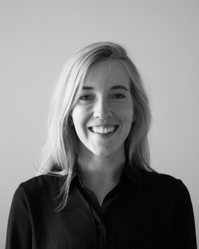 Her current interest in neuroethics focuses on different cultures of responsible knowledge-making in emerging brain science, and the limits and opportunities these cultures represent for transnational neuroscience. There is a growing consensus about the need to better align neuroscience and neurotechnology (NS/NT) with societal needs, values, and expectations. In particular, researchers and policy-makers are increasingly calling for better international coordination of neuroscientific research and neuroethical consultation. One major challenge for establishing international governance principles in NS/NT is the difference in national and regional cultures of integrating society into research and innovation, which is a crucial prerequisite to achieving a sustainable and socially robust agenda. A comparative perspective on European and American brain projects and key reports reveals such substantial differences. In Europe, the main emphasis has been on ‘Responsible Research and Innovation’ frameworks and corollary public engagement mechanisms for neuroscience. In contrast, the U.S. has focused primarily on ‘Ethical, Legal, Social Implications’ (ELSI) frameworks and bioethical expert assessments, with a smaller role for lay publics. At the heart of this divergence is a difference in understanding of who we trust with the assessment of future pathways in NS/NT. Different political cultures embrace questions of risk and uncertainty in emerging neurotechnology in different ways. Attempts to mainstream brain science on a global scale might profit from being sensible towards regional and national political commitments to the inclusion of society into neuroscientific advancements. In these situations, some scholars have argued for a model of ‘epistemic subsidiarity’ (Jasanoff, 2013) in which these fundamental commitments are calibrated and guaranteed, which is paramount to addressing the grand challenges for global brain sciences in the future. Brainscience in Europe, for example, is deeply embedded in the growing European commitment to Responsible Research and Innovation (RRI). Drawing heavily on previous social science research on the Public Understanding of Science and Technology (Wynne, 1992; Irwin, 2001), Public Engagement (Wynne, 2006; Stilgoe et al., 2014), Anticipatory Governance (Barben, 2008; Guston 2013), Constructive Technology Assessment (Rip 2008), and Sociotechnical Integration (Fisher 2008), as well as on strong traditions of deliberative and participatory democracy in countries such as Denmark and the Netherlands, RRI has become a ‘cross cutting issue’ in the European Commissions’ Horizon2020 framework program. The political commitment to this inclusive form of scientific and technological governance builds on repeated experiences in Europe with public controversy around and opposition to the unprepared push of emerging technologies into society (e.g. debates around Nanotechnology and Genetically Modified Organisms) and the risks of such resistance to the widespread dissemination of technological innovations. Key to this framework is the upstream engagement of society in the governance of emerging technologies through a variety of tools, in which the general public is considered as an active partner in knowledge co-creation, the role of the expert is one of facilitation (not authority), and the touchstone of validity is robustness in the real world (not in the lab). Taken seriously, RRI is hence a move towards democratizing sources of assessing the perils and pitfalls of emerging technologies, including neurotechnology— an ambitious project, which is still very much in the making and, to be fair, has been taken up rather patchily by member states of the European Union (Mejlgaard and Griessler, 2016). Nevertheless, talk and practice of responsibility is prominent in European recommendations on NS/NT, as well as in European brain projects. For example, the most significant European reports in the field, the Royal Society’s ‘Brain Waves’ series (2011) and the Nuffield Council on Bioethics’ ‘Novel Neurotechnologies’ report (2013), call for the principle of responsibility for the governance of neuroscience. According to the authors, this includes accountable public engagement practices in neuroscientific research and innovation governance. To date, the only recommendation brought forward by citizens themselves on the future handling of neuroscience and technology has taken place in Europe: the Meeting of Minds European Citizen Deliberation. 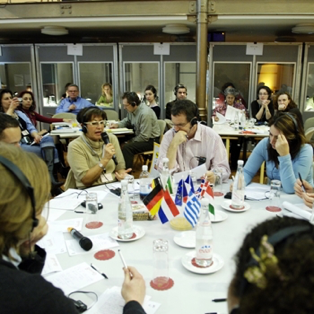 This large public engagement exercise, which has brought together 126 participants from all over Europe, already took place in 2006 and resulted in an extensive list of recommendations on questions such as regulation and control, normalcy vs. diversity, and the equal access to treatment. 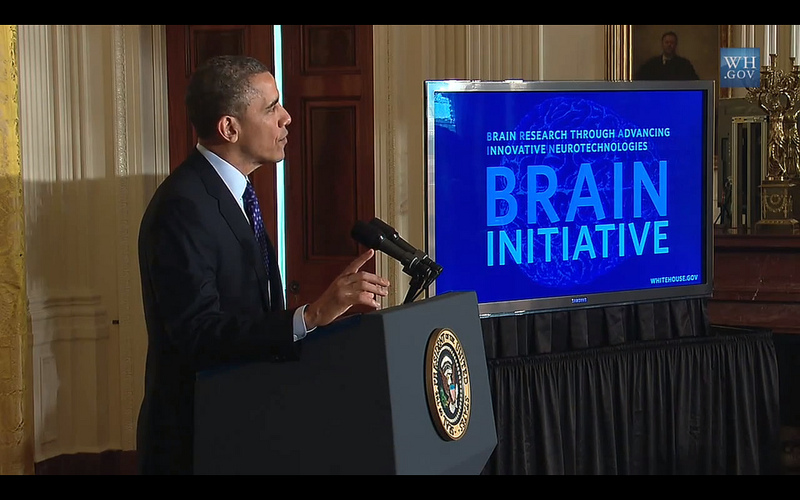 Informed by the new governance regime of RRI, European brain projects such as the HBP, BNCI Horizon 2020, and BrainLinks-BrainTools feature new mechanisms for the responsible conduct of brain science and the early integration of the public into ethical assessments, such as participatory foresight labs (HBP) or User Centered Design (BNCI Horizon2020). While such exercises might not yet be seen as authoritative decision-making instruments, experiments with public engagement represent an increasing trend in Europe to open up knowledge-making for the governance of neuroscience to society at large. Initiative, image courtesy of Flickr user Open Knowledge. Sources of brain science assessment in the U.S., in contrast, are operating mainly under the framework of ‘Ethical, Legal, and Social Implications’ (ELSI). Drawing on roots in the Human Genome Project, ELSI approaches – like RRI – are striving for better integration and anticipation of societal needs and concerns in neuro-innovation. Unlike its European counterpart, however, the impact assessment and foresight is mostly left to scientific experts, with a strong preference for professional ethicists and other powerful stakeholders, such as industry or the military. Here, the general public more is frequently considered to be lacking the required knowledge and skills for assessing the risks and benefits of complex technologies such as NS/NT, and great efforts are put into strengthening the scientific and ethical ‘literacy’ of and ‘outreach’ to society. This preference for including societal concerns through expert bodies is also apparent in two of the most prominent U.S. reports on NS/NT – Gray Matters Volumes I and II – which were drafted by the Presidential Commission for Bioethics (2014). Albeit the terminology of responsibility, engagement, and early integration of ethics is used in these reports, to my knowledge there is no institutionalized practice for putting these recommendations into action. The U.S. 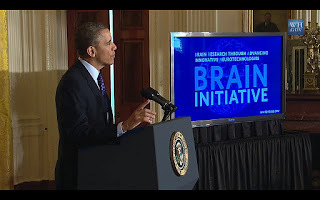 Brain Research through Advancing Innovative Neurotechnologies (BRAIN) initiative, which was initiated by the BRAIN 2025 report, covers questions of neuroethics through a voluntary, unpaid multi-council working group that consists of members of the U.S. American regulatory apparatus and academia. A similar construct can be found in the BRAIN Initiative’s partner institution, the Defense and Advanced Research Projects Agency (DARPA), where an expert panel meets regularly to discuss ELSI issues in neuroscience and technology. Given these national differences in public knowledge-making about the brain, frameworks and mechanisms for aligning NS/NT with society at an international level will likely face considerable challenges and will require cautious negotiation. Simply agreeing on “responsible and ethically sound conduct and application of neuroscience” alone will not suffice to straddle these vastly different institutionalized traditions of technology assessment. This challenge becomes even more exigent when including other emerging neuroscience leaders such Korea, Japan, China or Latin America, where the commitment for responsible conduct in NS/NT rest on yet different social, economic, and institutional foundations. Eventually, the perceived need to harmonize the governance of NS/NT across the globe will have to find an appropriate model of subsidiarity for countries and regions to maintain compatibility with local values and participatory cultures and will need to continue emphasizing communicating and learning from each other’s principles and procedures for assessing shared futures. Barben, D., Fisher, E., Selin, C. and Guston, D.H. (2008) Anticipatory governance of nanotechnology: Foresight, engagement, and integration. In: Hackett, E.J. et. al. (Eds.) The Handbook of Science and Technology Studies. Cambridge, MA: The MIT Press, pp. 979–1000. Fisher, E. et. al. (2006) Midstream Modulation of Technology: Governance from Within. Bulletin of Science, Technology and Society, Vol. 26 (6). Guston, D. (2013) Understanding anticipatory governance. Social Studies of Science, Vol. 44(2): 218-242. Irwin, A. (2001) Constructing the scientific citizen: science and democracy in the biosciences. Public Understanding of Science, Vol. 10(1): 1-18. Jasanoff, S. (2013) Epistemic Subsidiarity – Coexistence, Cosmopolitanism, Constitutionalism. European Journal of Risk Regulation, Vol. 2: 133-141. Mejlgaard, N. and Griessler, E. (2016): Monitoring RRI in Europe: approach and key observations. In: Lindner, R. et. al. (Eds. ): Navigating Towards Shared Responsibility in Research and Innovation. Approach, Process and Results of the Res-AGorA Project, Karlsruhe, p. 115-118. Rip, A. and Te Kulve, H. (2008) Constructive Technology Assessment and Sociotechnical Scenarios. In: Fisher, E. et. al. (Eds. ), The Yearbook of Nanotechnology in Society, Volume I: Presenting Futures, Berlin etc: Springer, pp.49-70. Stilgoe, J., Lock, S.J., Wilsdon, J., 2014. Why should we promote public engagement with science? Public Understanding of Science, Vol. 23: 4–15. Wynne, B. (1992) Misunderstood misunderstanding: social identities and public uptake of science. Public Understanding of Science, Vol.1(3): 281-304. Wynne, B. (2006) Public Engagement as a Means of Restoring Public Trust in Science – Hitting the Notes, but Missing the Music? Community Genetics, Vol. 9: 211-220.